Dutch sound maestros Huminal are an established entity in world of electronic music. They need no further introduction. The guys have been causing quite a stir with their melodic influenced and intricate productions. They have released on labels like Einmusika, MNL, Lowbit, Yin, and Mango Alley amongst others, and have gathered massive support from the world's finest DJ's. 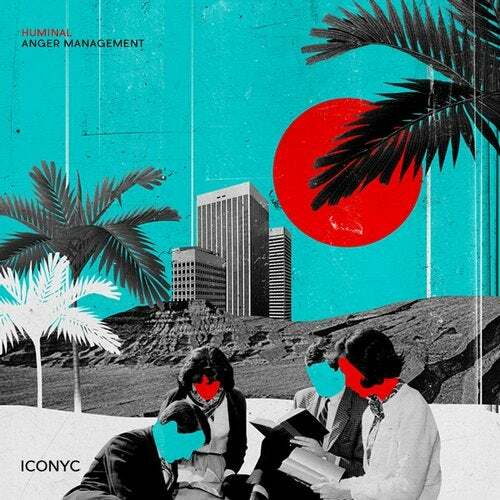 ICONYC are excited to welcome them back to the label with their outstanding 3 track EP 'Anger Management' to warm the hearts. To kick of proceedings, we have the title track 'Anger Management'; an amalgamation of smooth bass tones, subtle drum programming, a cleverly chopped vocal sample and intricately weaved chord progressions, building to a beautiful breakdown before gradually rebuilding the elements to an unrelenting crescendo of breathy vocal licks, chord stabs and an ever-warped bassline. Next up we have 'Forcing Horses' which is a melodic stripped back affair utilizing a hypnotizing synth line, as the basis of the track underpinned by a staccatoed bass that gradually eases its way to the breakdown of breaks percussive elements before unleashing into a rising melodic hook intertwined with the infectious melody that fades in and out for maximum effect. Electronica at its finest. Last but not least the duo brings us a masterpiece in the form 'Riding the Tricycle'; a track that delves into deeper minimal territory, which sees lush pads fused with more sultry synths hits underpinned by Humnial's trademark bass patterns, before all manner of varied melodies weave in and out of the stereo field. The EP highlights Huminal's continuing maturity and variety in his productions. Essential in every sense of the word. Huminal's 'Anger Management EP' delivers influenced progressive electronica beats that will make everyone smile. Another essential release from ICONYC aimed straight at the soul, be ready to dance to it!